Karen Gentleman has more than 25 years of experience in market research, marketing, real estate development and advertising. In 1988, she founded Gentleman Associates, a market research consulting firm. When Michael McCarty joined the firm in 2009, it was re-branded Gentleman McCarty. Over the past two decades, Gentleman has conducted market research assignments for a variety of national clients including most of the country’s leading shopping center developers, downtown organizations, financial institutions and Indiana’s largest hospital system. Before starting her own company, Karen was Director of Research for Melvin Simon & Associates, the nation’s leading shopping center manager/developer. She has also held research positions at Montgomery Zukerman & Davis, Indianapolis’ largest advertising agency and D’Arcy MacManus & Masius Advertising in Chicago. Gentleman earned an undergraduate degree from Wellesley College and an MBA from Indiana University. 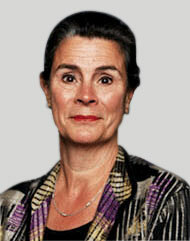 She is the Past President of the Wellesley College Alumnae Association. In Indianapolis, Karen serves on the board of directors for the United Way of Central Indiana and Marquette Manor and is an emeritus board member of the Women’s Fund of Central Indiana and University High School. She’s also a member of the ICSC Research Advisory Task Force. Michael McCarty has more than 35 years of experience in market research and real estate development. In 2009, McCarty joined Gentleman Associates and the firm was rebranded Gentleman McCarty. Prior to joining Gentleman McCarty, Michael was Senior Vice President of Research and Corporate Communications at Simon Property Group, the nation’s largest publicly-traded Real Estate Investment Trust (REIT). During his 26 years with Simon, McCarty established a research function that supported all areas of the company including Development, Leasing, Marketing, Property Management and Capital Markets. Then and now, it’s considered the shopping center industry leader. McCarty started his career at May Department Store Company in St. Louis, Missouri. He also held research positions at Federated Department Stores in Cincinnati, Ohio (now known as Macy’s) and the former Homart Development Company (a subsidiary of Sears). Michael earned a BBA and MBA from the University of Wisconsin. A long-standing member of the International Council of Shopping Centers (ICSC), he is past chair of the organization’s Research Advisory Task Force and Vice President/Trustee of its Foundation. 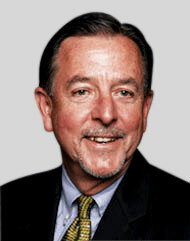 McCarty is a full member of the Urban Land Institute and serves on the Commercial and Retail Development Council.